Holy moly lads, Slam Dunk is only less than a month away and I am PUMPED. 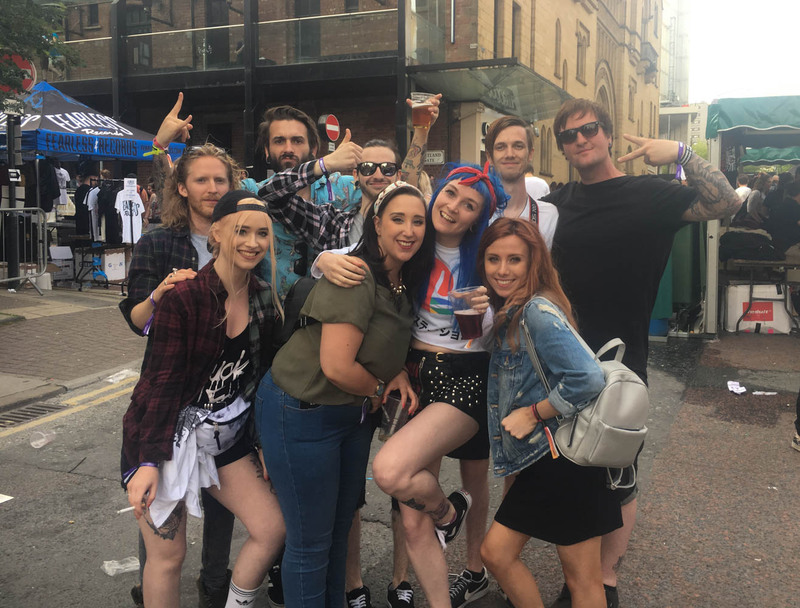 It's my most looked forward to event of the year, as a self-proclaimed pop-punk enthusiast, what more could be better than cider, friends and dancing and scream along to all your fave bands you knew and loved when you were 15, to only then bring them with you into your adult life? Nothing, that's what, nothing at all. So this year will be my 9th or 10th Slam dunk, so I'm well seasoned in all things SD and have seen a whole host of lineups and headliners, this year I thought I'd put together a list of my top 4 bands I can't wait to get nostalgic to. The main reason I'm going tbh. Despite being a huge GC fan back in the day and actually meeting the Madden twins whilst they were out for a jog in Sydney I've never actually been to one of there shows. . . . bad fan I know! I can't wait to screech and jump to I don't wanna be in love [plz plz be on the setlist I pray]. I will never not enjoy Jimmy Eat World. Unlike GC, I've have seen these guys a few times and they played a big part in my teens. Bleed American is one of my all time fave albums. Do I have to even give a reason why? TBS was the emo band back when, Cute without the E anyone? We're you even am emo if you didn't scream along emotionally to that banger. I actually first discovered Pvris at slam dunk, I couldn't get their catchy songs out of my head and found myself downloading their album that day. Stoked to see the guys back where I first saw them. Are you guys going to Slam Dunk? What are your top bands you're looking forward to seeing? PVRIS and Taking Back Sunday are two of my favorites! They're both incredible live!